Belfast’s official tourism marketing agency, Visit Belfast, has lifted the lid on ‘Belfast Makes Sense’, a brand new marketing campaign designed to rapidly accelerate the volume of inbound business conferences and events taking place in the city. 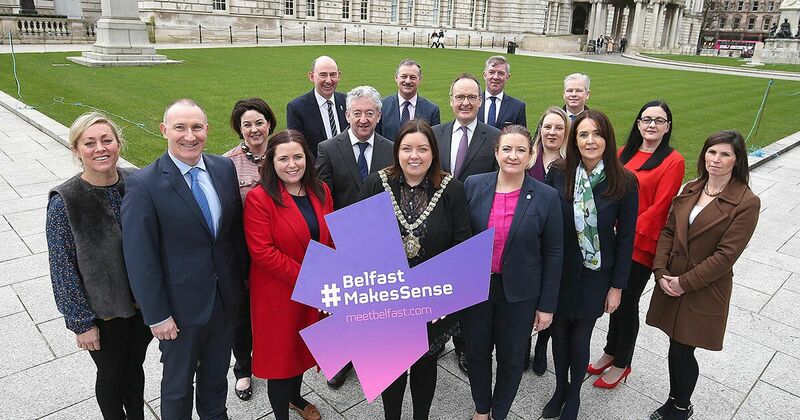 Emphasising the importance of business tourism to Belfast and Northern Ireland and developed by Visit Belfast with 13 key major partners from the city’s tourism industry – Belfast Makes Sense – kicked off on Tuesday 25 February 2019. Focused on Great Britain and international markets, the digital-led campaign is the largest dedicated business tourism marketing initiative ever undertaken by the city, incorporating a new website, compelling video content, targeted advertising and public relations to support ambitious sales growth. Directly promoting Belfast’s confident expertise in delivering high quality events, its wide range of modern venues and accommodation, ease of access, value for money and its key sectoral strengths, the campaign will run until early 2020 to ensure the city remains front-of-mind when key booking decisions are made. The campaign was developed through investment and collaboration of many of the city’s leading private and public sector organisations including Tourism Northern Ireland, ICC Belfast, TBL International, Queen’s University Belfast, George Best Belfast City Airport, British Airways and many of the city’s leading accommodation providers – Hastings Hotel Group, Andras Hotel Group, Dalata Hotel Group, Hilton Belfast, Ten Square Hotel and Titanic Hotel. Belfast is currently one of the UK and Ireland’s leading destinations for the meetings, incentive, conference and events (MICE) industry. Since April 2018, more than 100 conferences have been secured for the city, representing an economic impact of around £46 million – and in the last five years alone, the team at Visit Belfast, working with its partners, has successfully attracted over 400 prestigious conferences from all over the world, bringing 150,000 delegates to Belfast and contributing a combined economic benefit of more than £200 million benefit for the local economy.